The best way to get to know a community is by scheduling a tour. See the facilities, meet the staff and residents, and get a feel first hand what it's like to live at Cross Creek at Lee's Summit Assisted Living. Life at Cross Creek is built on the five pillars of brain health designed to encourage residents to move, discover, relax, nourish and connect. 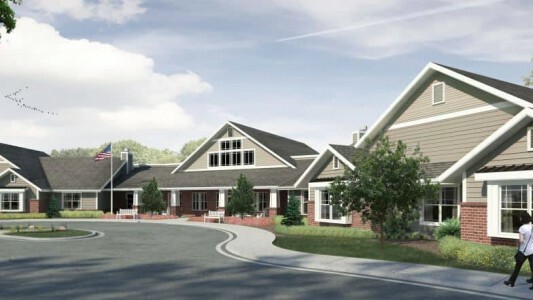 Cross Creek will offer individualized resources to assist residents and their families as they navigate the challenges of transitioning to life in their new home. We seek to enrich their lives while creating independence so that residents can continue doing the things they love. We specialize in resident-centered care through the Dementia Live and Compassionate Touch programs. Individualized support and personal care programs are available with respect to each resident’s independence and health needs. Our Compassion allows residents to continue living their story by doing what they love most... We seek to engage and encourage the whole person by getting to know each person’s life story. Cross Creek residents and staff will face life together with patience and understanding.